Being the head of the Saturn section at the British Astronomical Association, it seemed natural that Michael Foulkes should deliver April’s talk on the beautiful ringed planet. 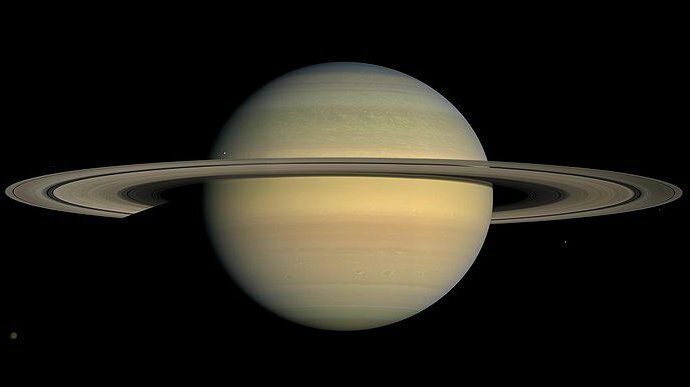 Saturn is probably the best loved object in the solar system, with its ring system visible in even the smallest telescope. Huygens was the first to observe this in the 17th century and a spacecraft that visited Saturn’s largest moon Titan was named after him. Michael described some of the features of Saturn’s orbit and the way the position of the Sun’s shadow changes according to its position relative to Earth. Because of the eccentricity of the plane of the rings relative to the planet’s orbit, ring system can become essentially invisible in certain years. Saturn is largely made up of hydrogen and has surface cloud features, but is not nearly as active as Jupiter. Nevertheless, storms have been detected on the planet even with small telescopes. The most famous was the Great White Spot, discovered by Will Hay the 1930s comedian. Michael finished his talk with a survey of the ring system and the main satellites, including Enceladus, which may have liquid water beneath its surface and therefore the potential for life. An informative talk which made us want to go out and see the planet for ourselves (it is currently in Virgo).